Richard Rigg, Song, 2014, three leaves, black tubing, diaphragm pump, dimensions variable. Image courtesy the artist and Workplace London. 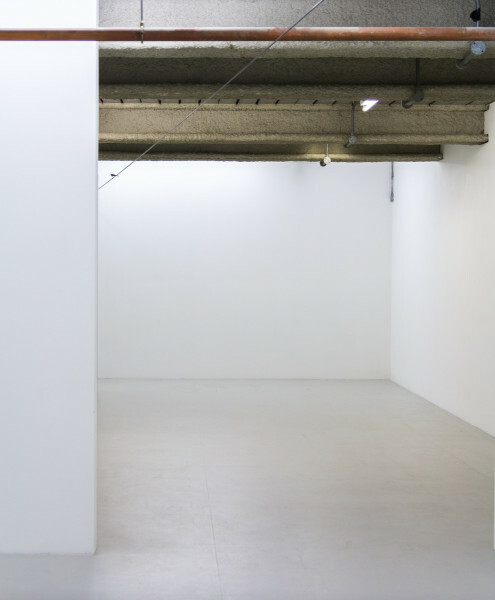 'Reoccurring Rose Garden' installation view. Image courtesy the artist and Workplace London. 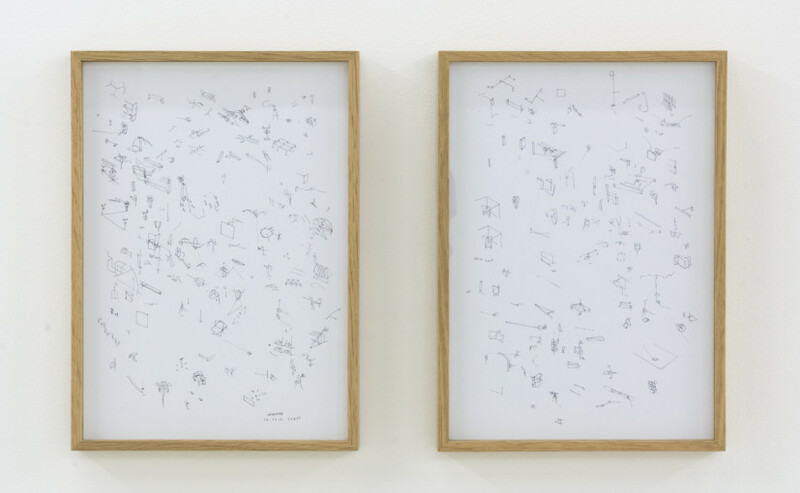 Richard Rigg, Untitled, 2015, ink on paper (diptych), 29.7 x 42cm. Image courtesy the artist and Workplace London. I’ve been having a lot of conversations, these last few weeks, about how to negotiate a world that seems dominated by event-driven enthusiasm for art fairs, versus the old fashioned gallerist’s ‘craft’ of nurturing a stable of artists and presenting considered, coherent gallery exhibitions that introduce bodies of new work. It’s a business decision: where do you invest? In bricks and mortar and the hope of people walking through the door; developing substantial relationships with collectors? Or in the flimsy plywood walls of a booth at a far-flung, glittering art fair attracting international collectors in flocks of private jets? 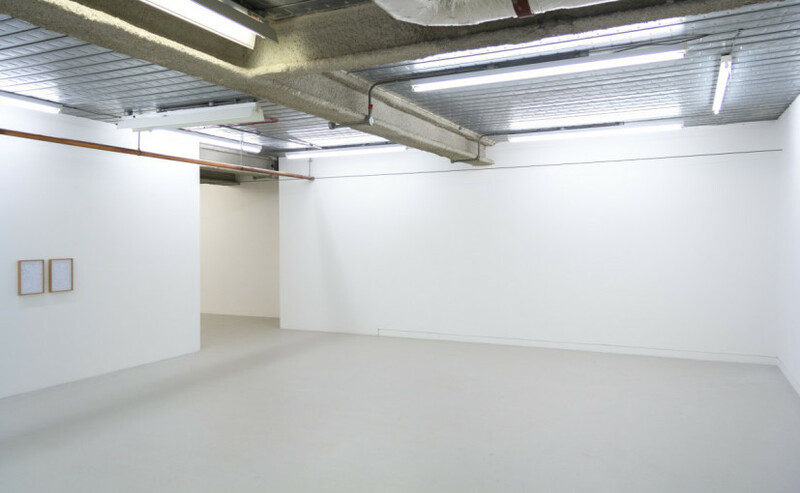 Consider then the chutzpah of Gateshead-based Workplace Gallery, newly established in Mayfair. Ten years old and well versed in the ways of finding funding for the arts outside of London, with a passionate loyalty to their artist friends, tonight they will open an exhibition of work by Richard Rigg – shortlisted for the Northern Art Prize in 2010, subject of a solo show at the (ever more interesting) BALTIC in Gateshead in 2012. 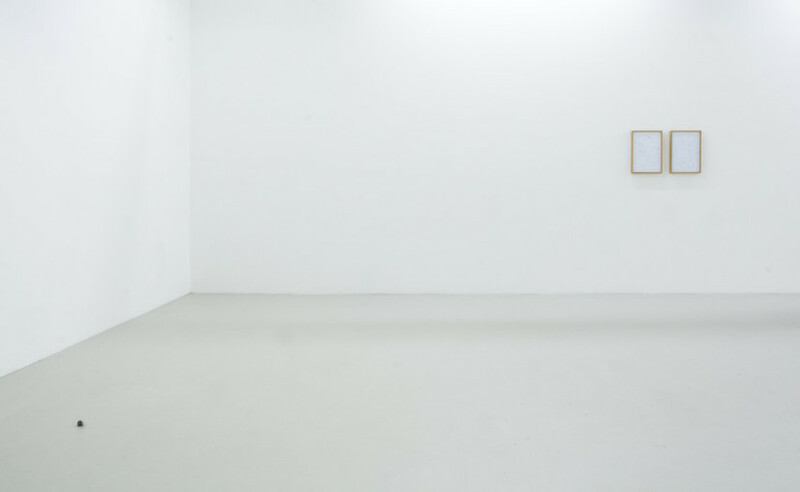 The major piece in this exhibition – if I can use such a term with an artist who principally trades in minimalist, if not slight, gestures – is called Song. 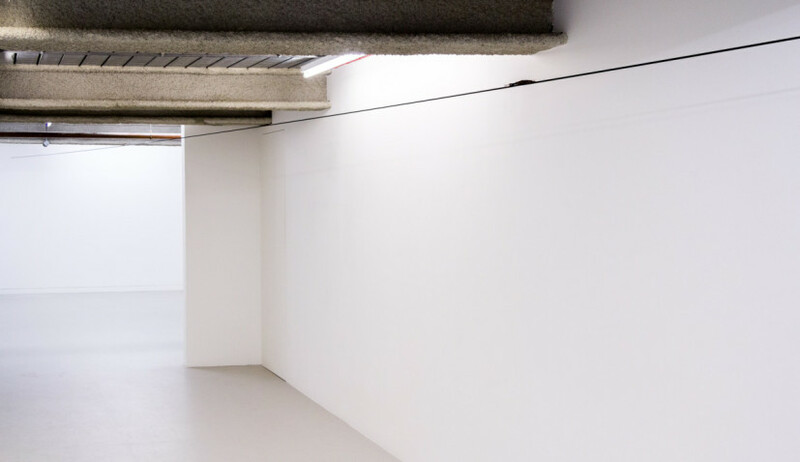 First shown at mima in Middlesbrough in 2014, the work consists of a black telephone wire that bisects the gallery space at head height. 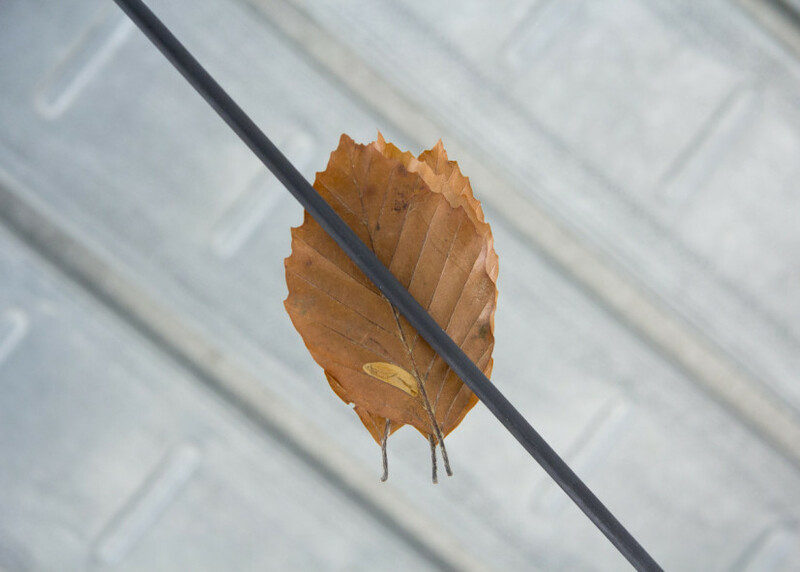 In the centre of the wire, three perfectly preserved, autumn-coloured leaves are stacked one on top of the other, balancing perilously on the line. They are fixed in place by – well what? 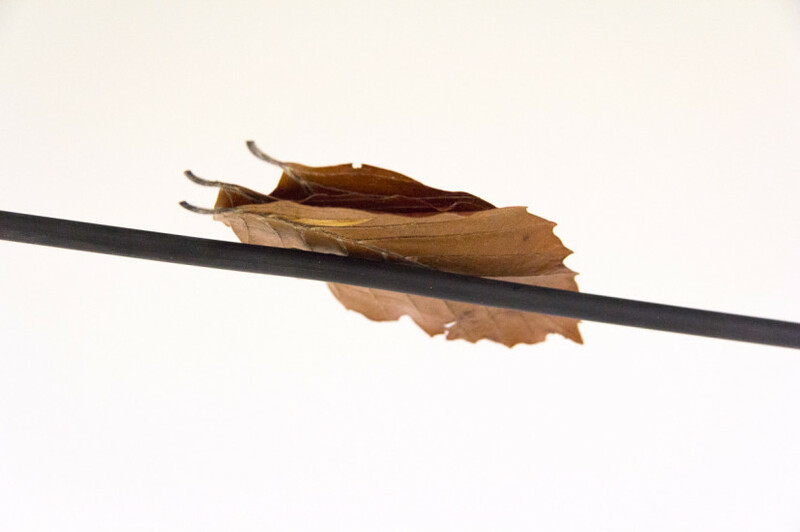 The exhibition label describes the work’s medium as ‘leaves, cable, diaphragm-pump’. You can hear the whine of the pump if you listen carefully but the suction created is not enough to hold the leaves securely in place. Tonight’s opening brouhaha is bound to dislodge them. 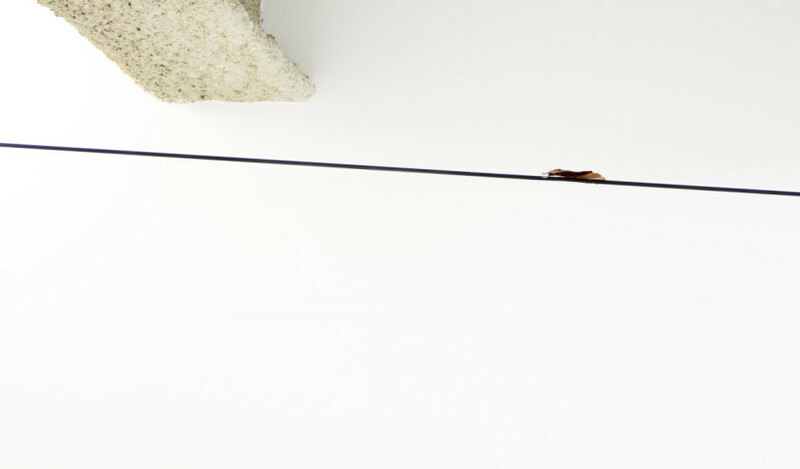 With its highly controlled, zen-like poise, this work is what it is: a high wire act, a sculptural gesture that creates tension in the space like something by American minimalist Fred Sandback. At the same time it is a fantastic metaphor for the fragility of human endeavour: Wile E Coyote running off the edge of a cliff – safe until he looks down. 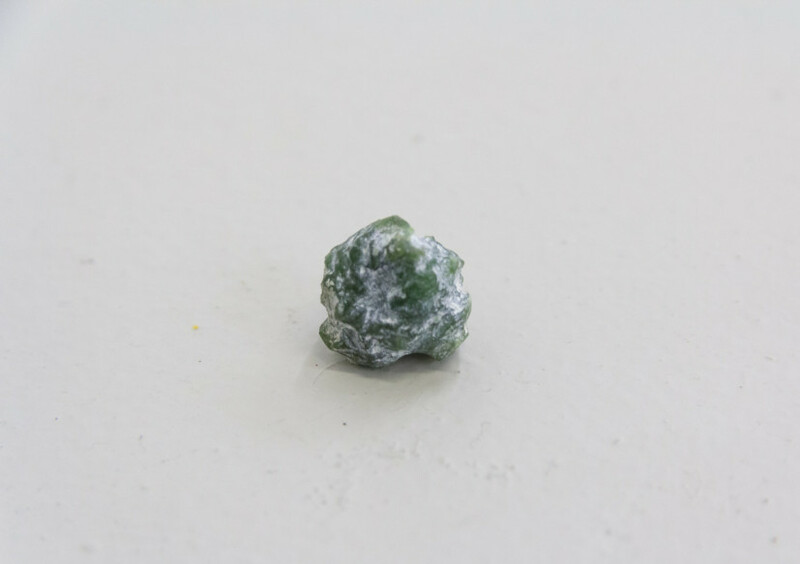 On the floor in the first space of the mezzanine gallery it is tricky to spot the second work in the show: a quail’s egg-size lump of jade – a carved pendant re-carved by Rigg back to the form of the raw material, placed on the floor almost invisible even to the searching eye. These are conceptual gags that put one in mind of things Martin Creed has done, but in Rigg’s work they connote memory and a relationship to the tangible world that are something quite different. This is an artist who has in past work retuned all a piano’s strings to middle C and then commanded a pianist to play Chopin’s passionate Ballad No.1 on an instrument so altered that it renders only rhythm, emotion and human memory – in performer and audience – of the original melody. 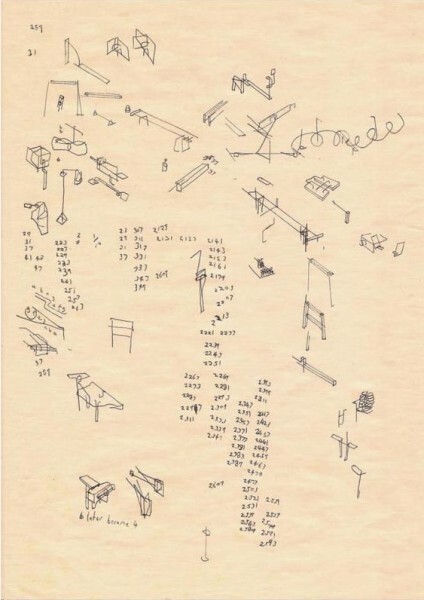 The title of the exhibition at Workplace London in fact relates to a work that Rigg has yet to make, the two small framed works on paper in the show are minuscule drawings, diagrams even, of works the artist intends to make, or has completed in the recent past. 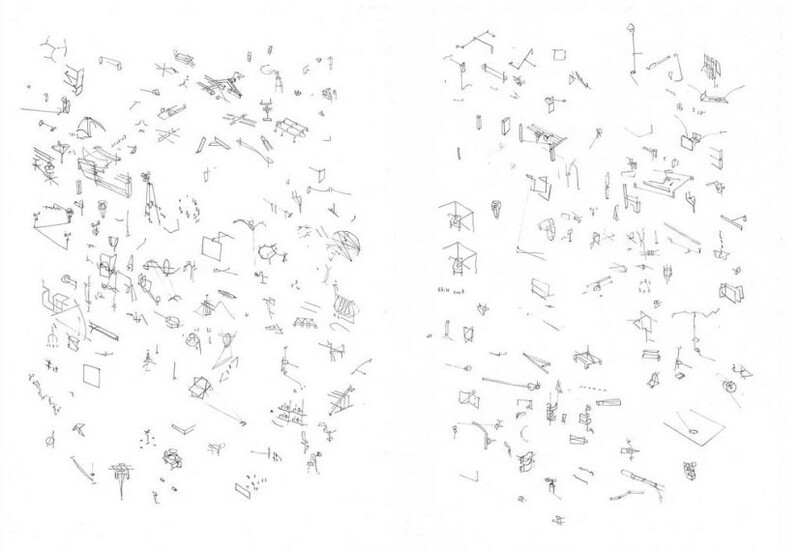 Notational, provisional propositions – it makes you think about how precarious a balancing act it is to get good work seen. People, please take this opportunity to get acquainted with Workplace Gallery and see some serious work by an artist who has not shown before in London.